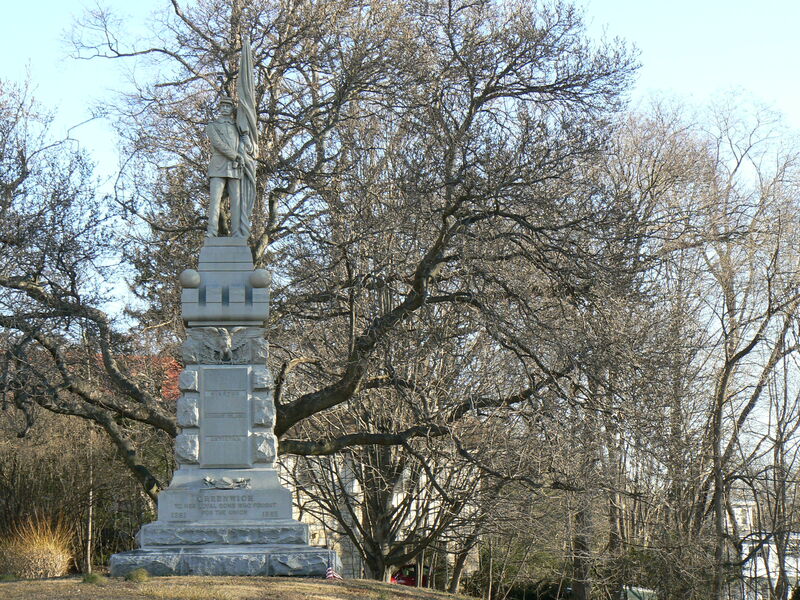 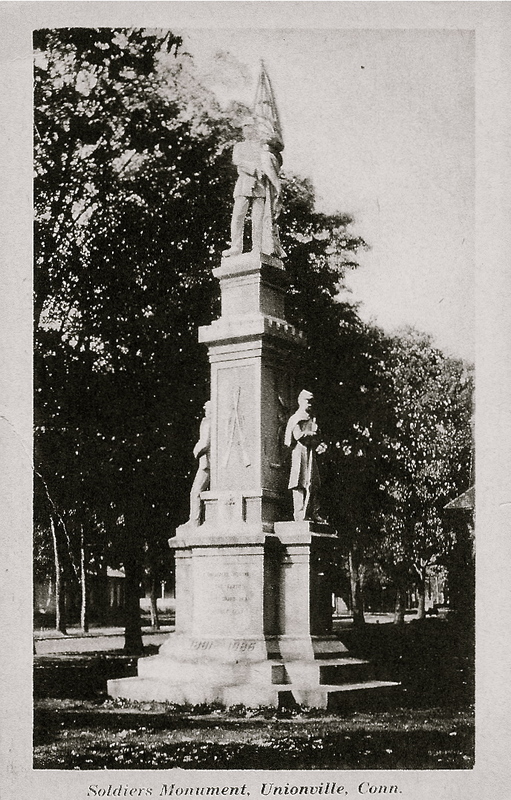 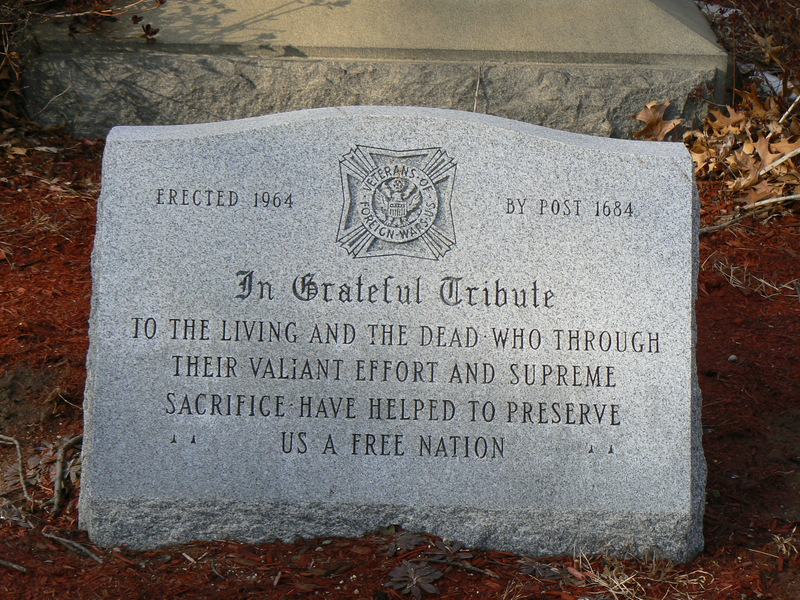 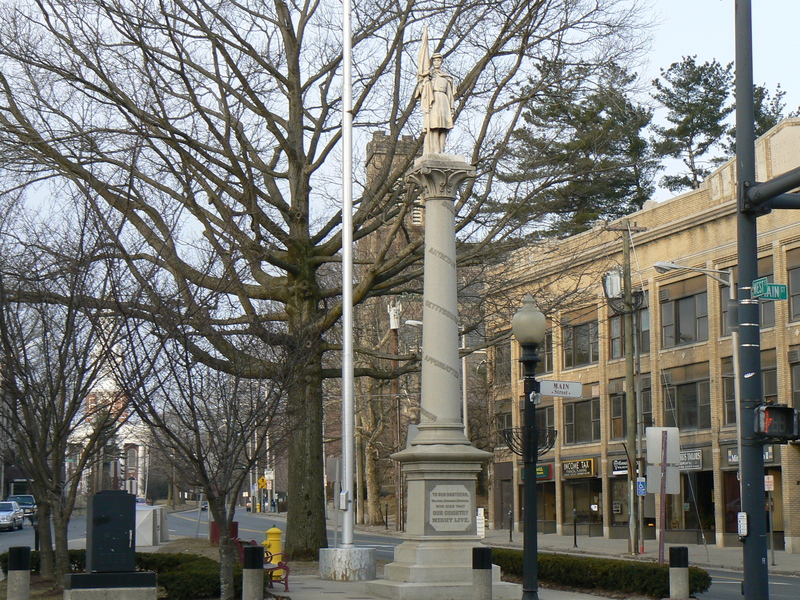 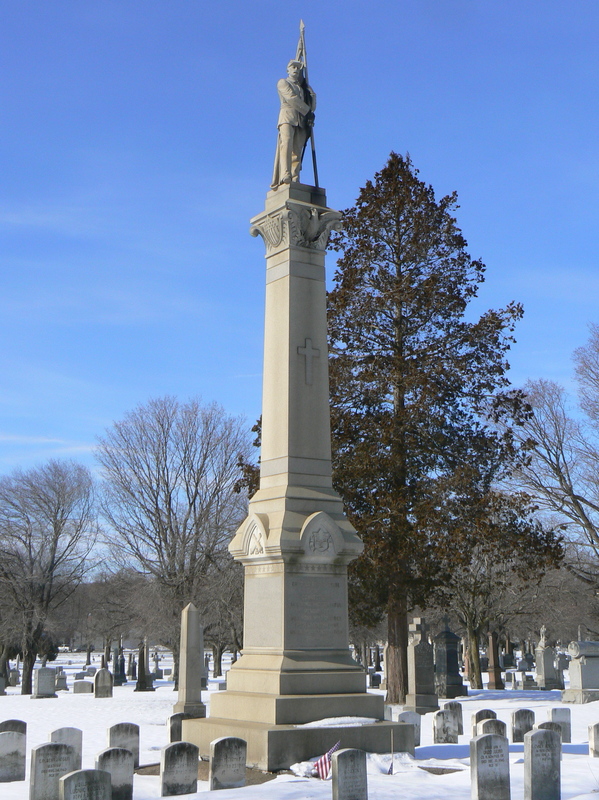 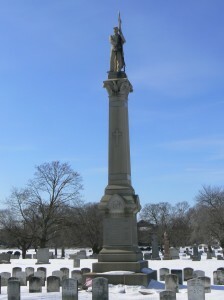 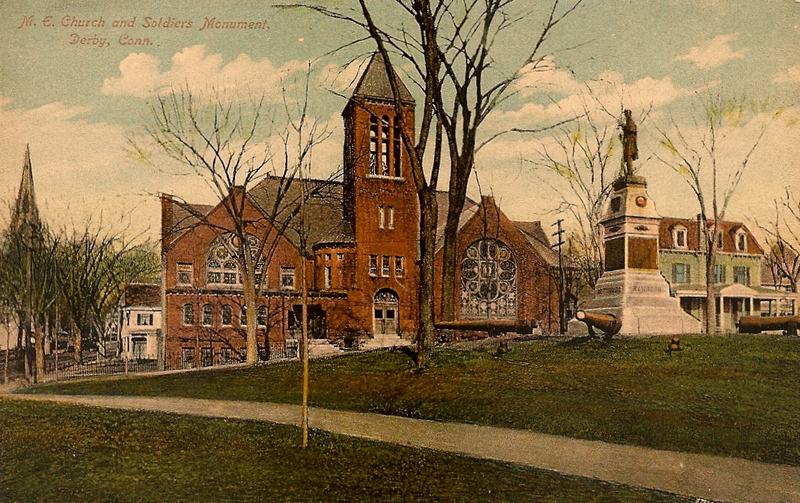 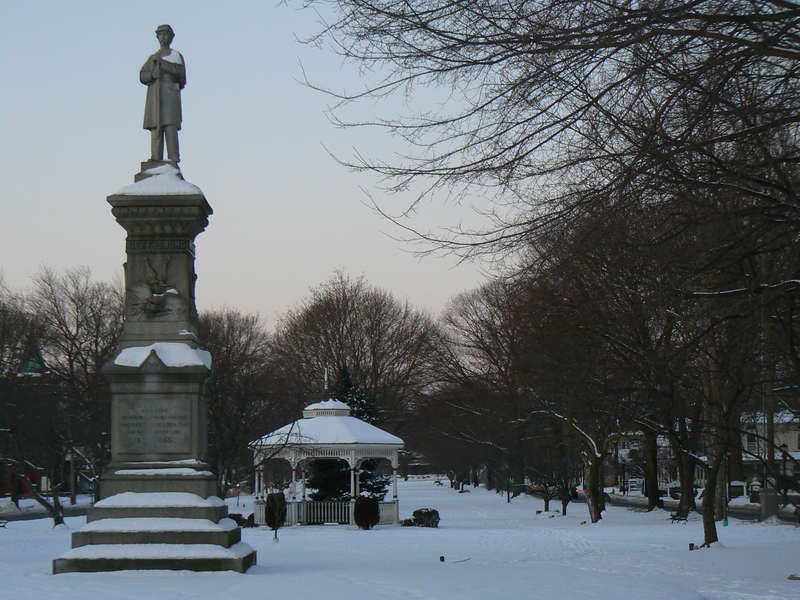 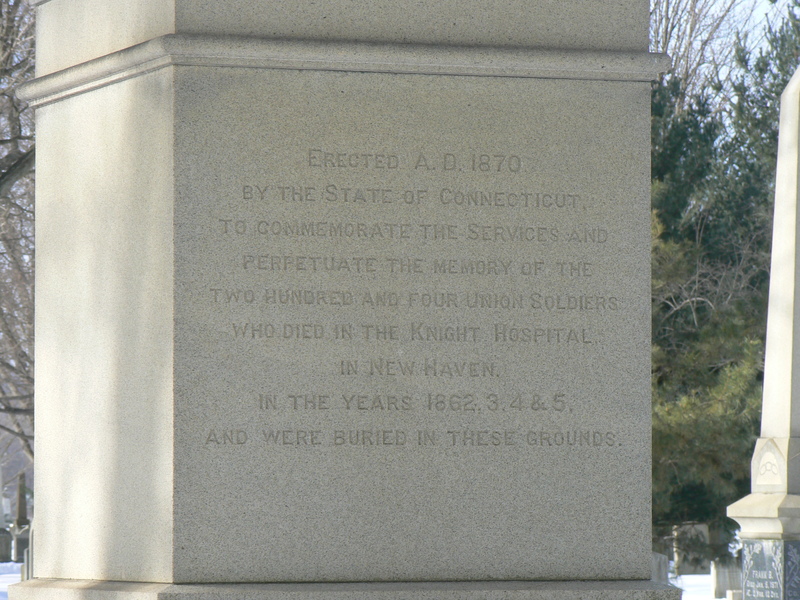 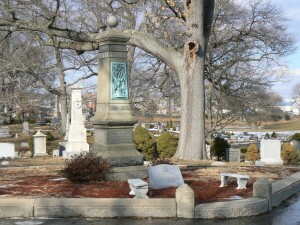 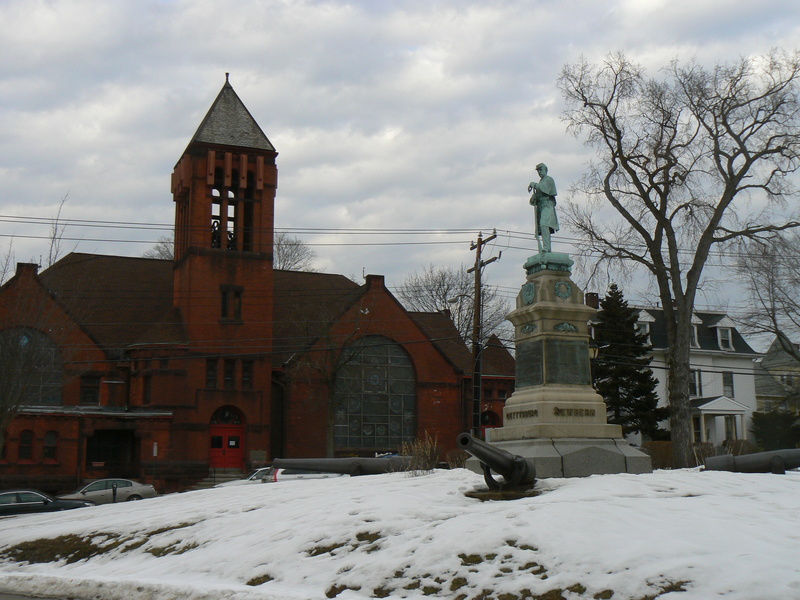 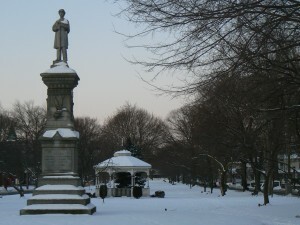 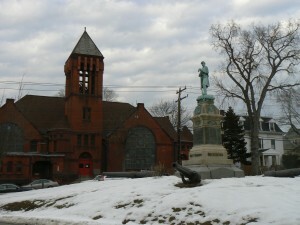 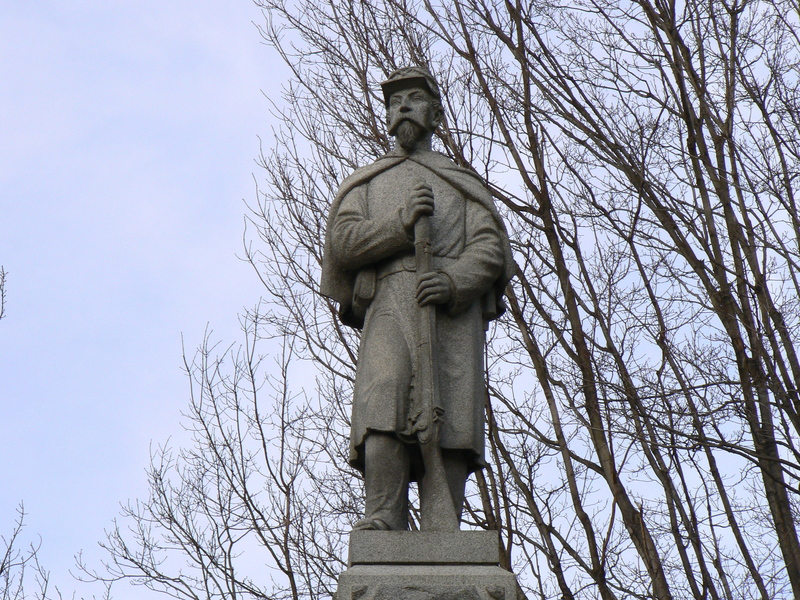 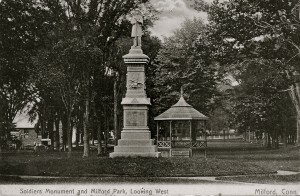 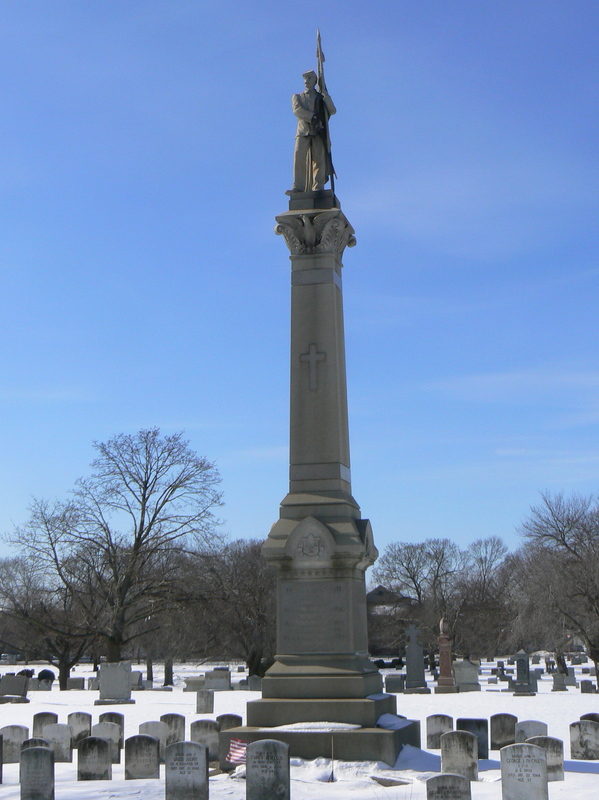 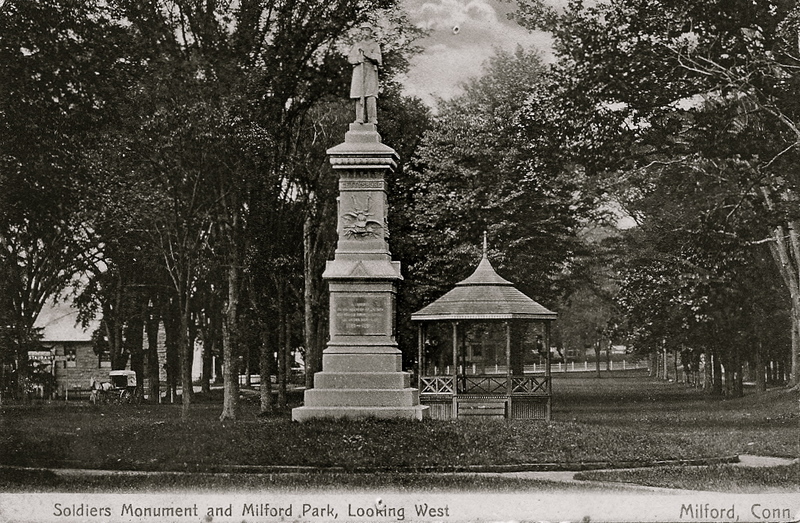 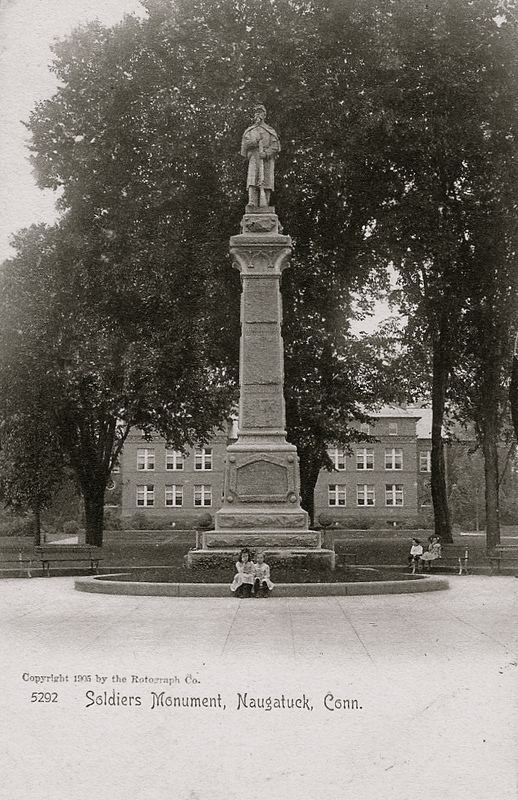 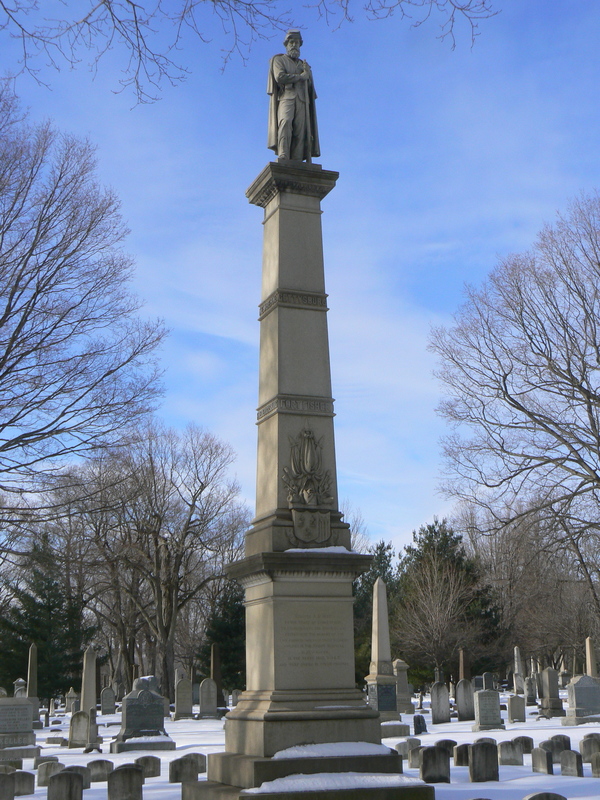 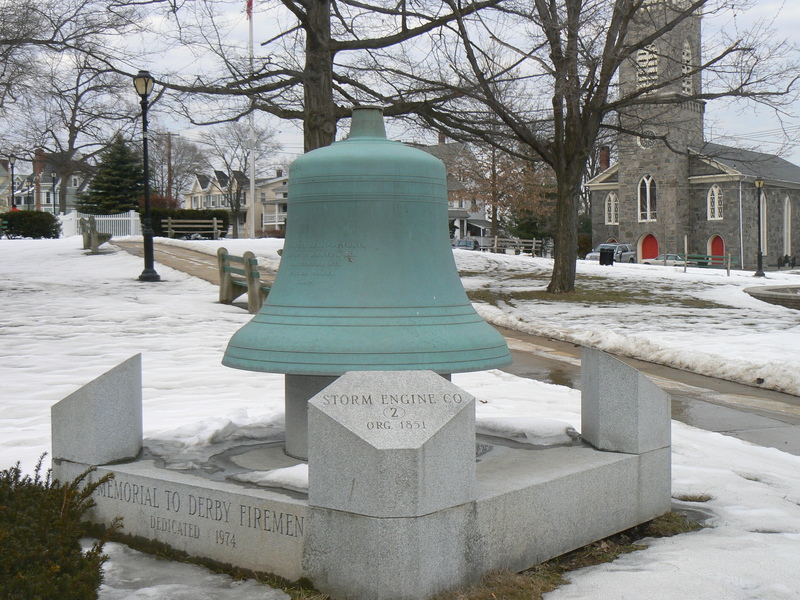 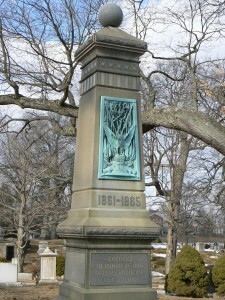 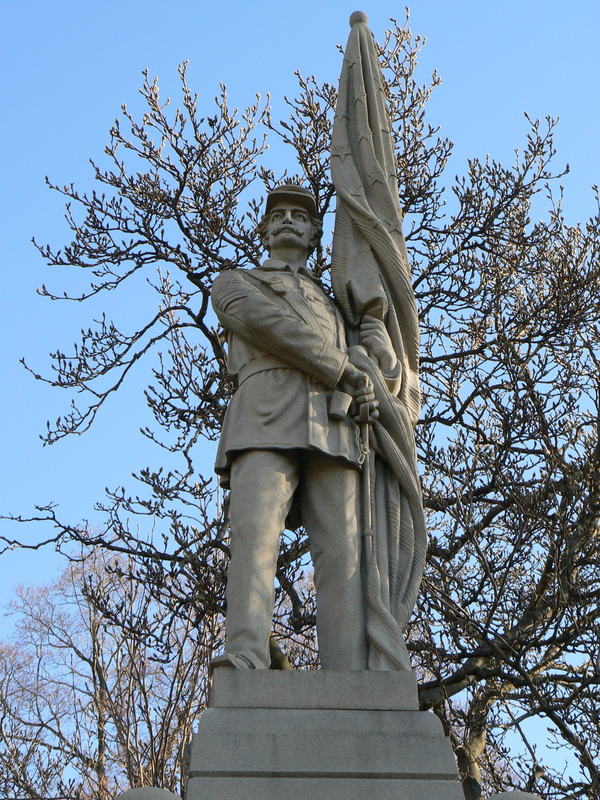 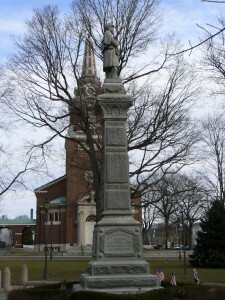 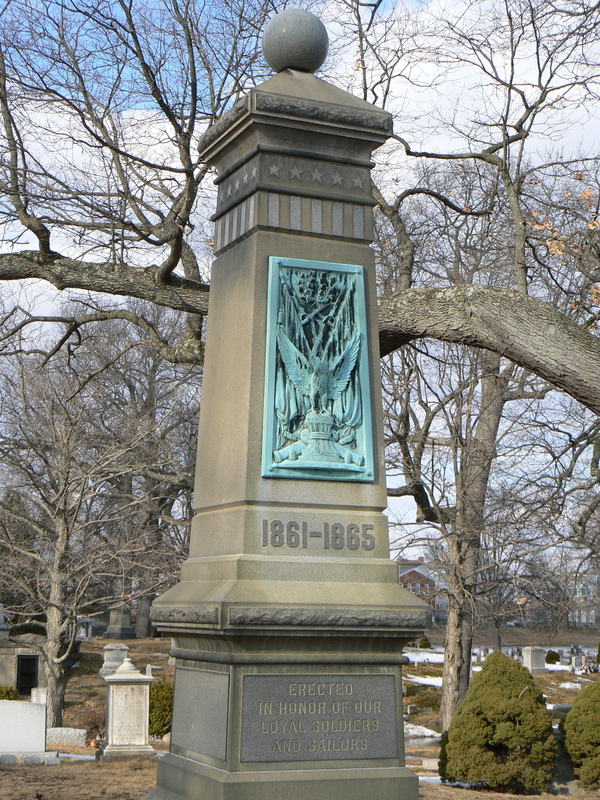 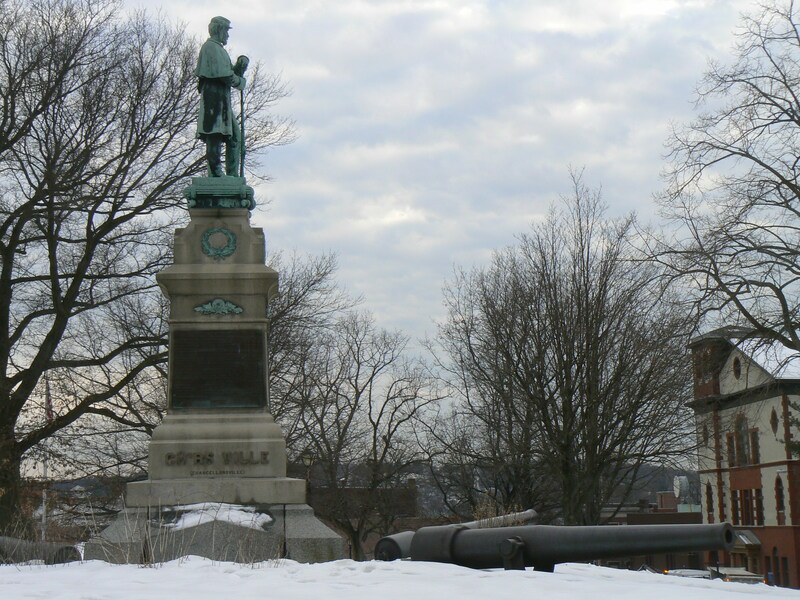 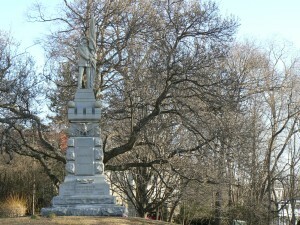 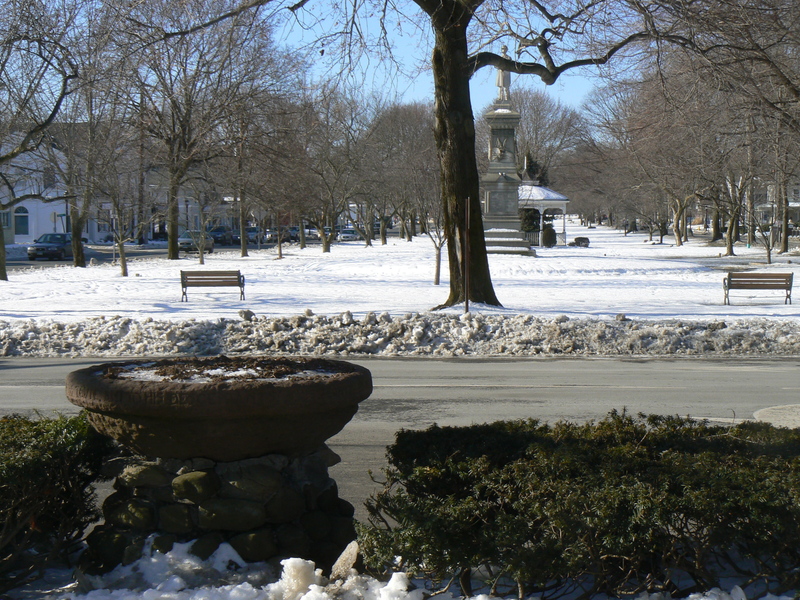 The Knight Hospital Monument in New Haven’s Evergreen Cemetery was dedicated in 1870 to honor the 204 wounded Civil War veterans who died in the hospital and were buried near the monument. 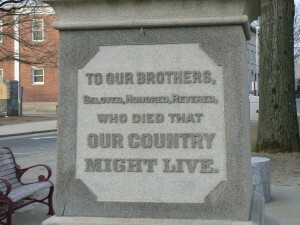 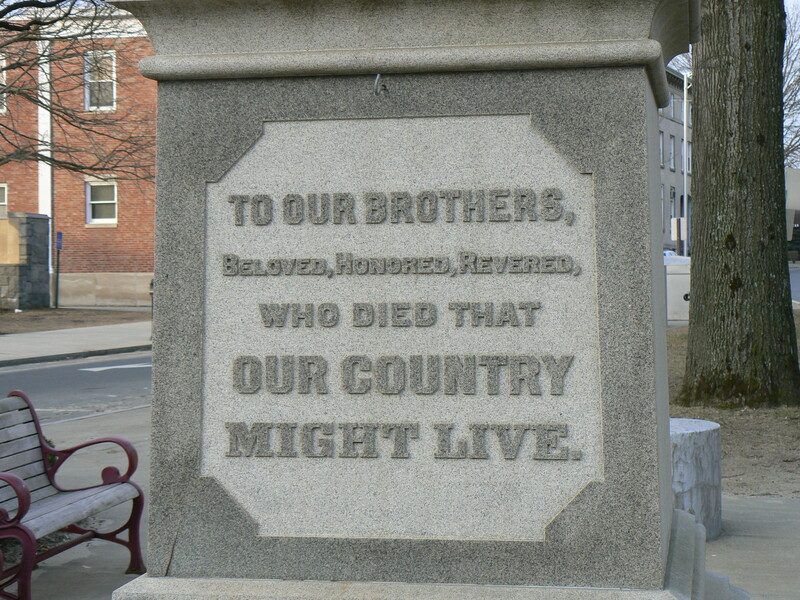 The fact that the monument is not dedicated to veterans from a specific town or regiment makes it very uncommon among Civil war monuments. 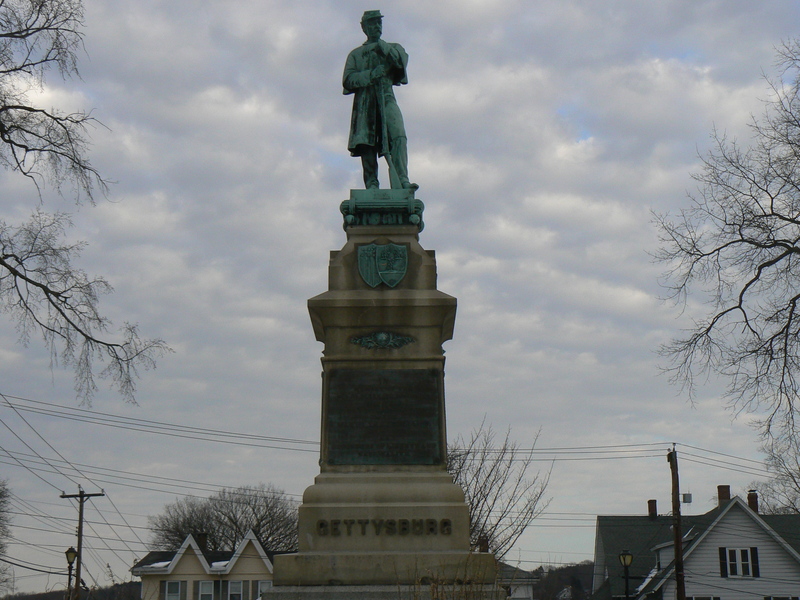 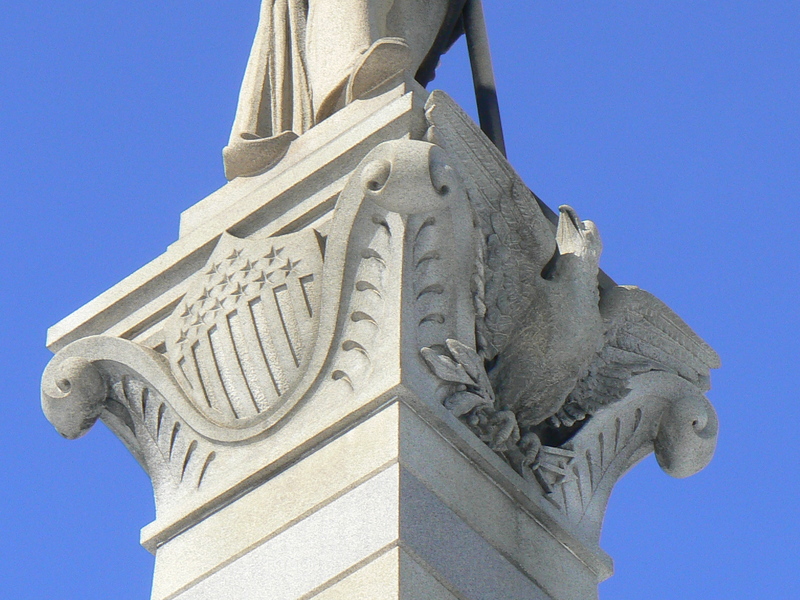 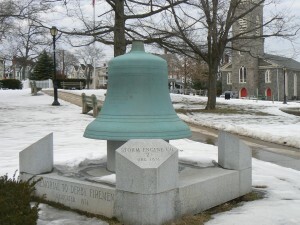 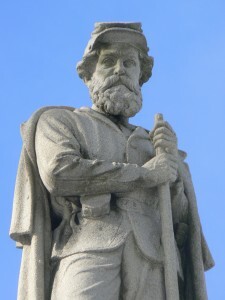 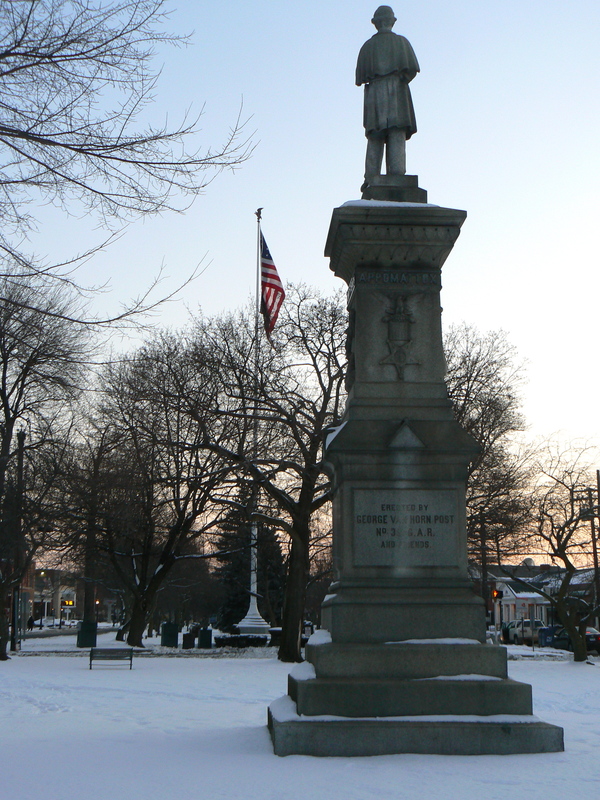 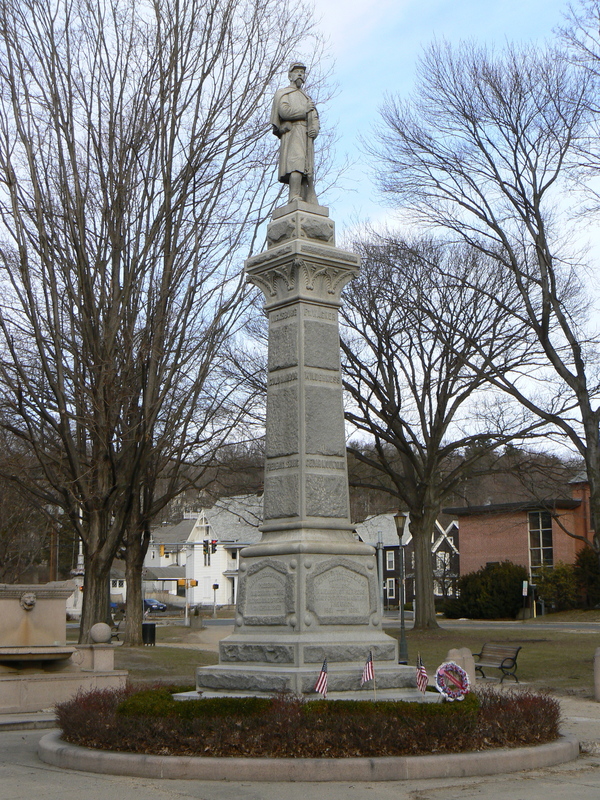 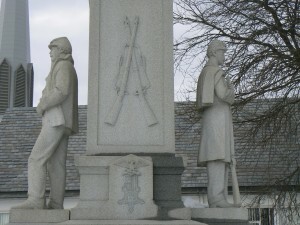 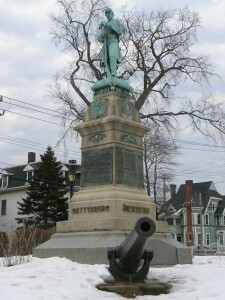 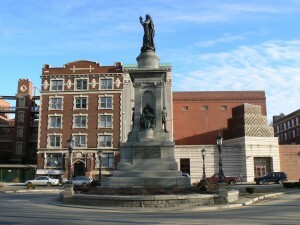 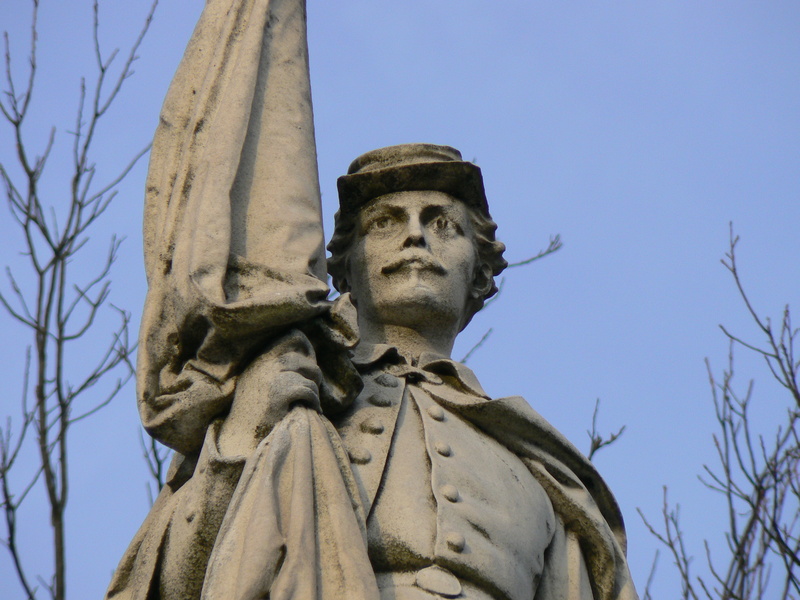 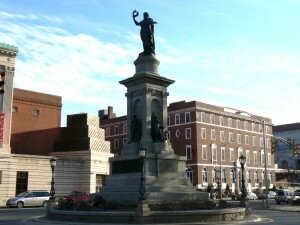 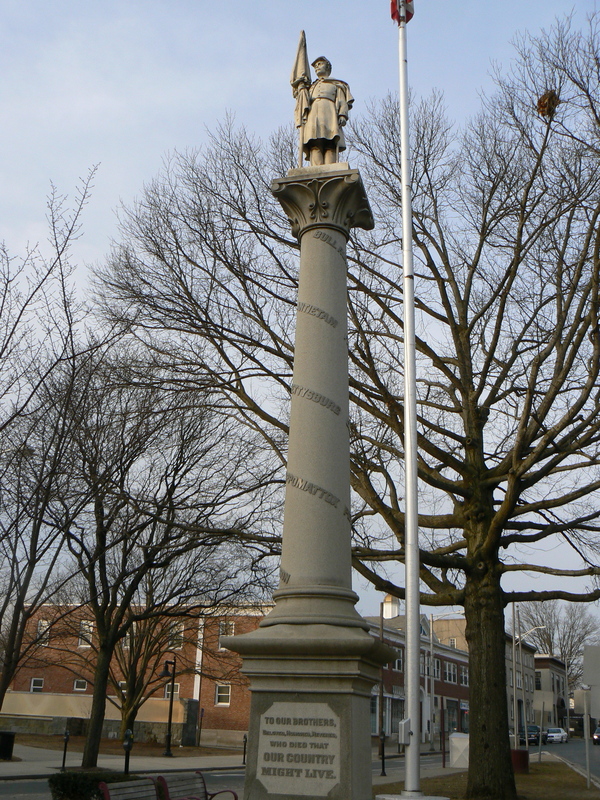 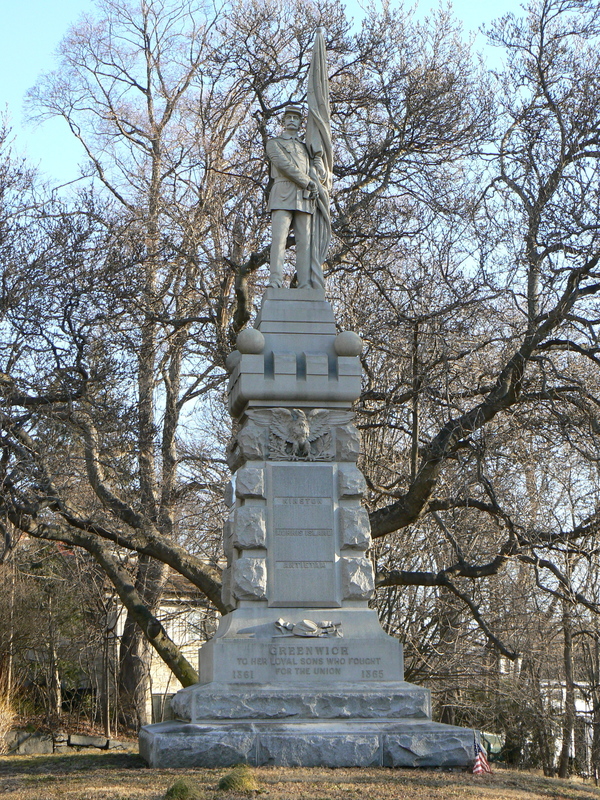 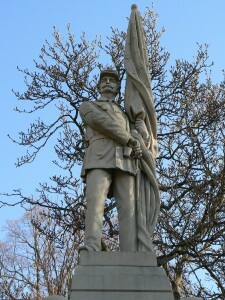 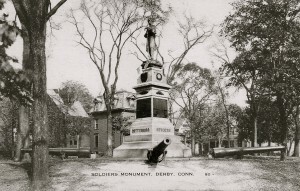 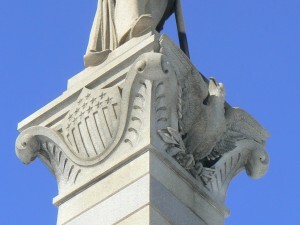 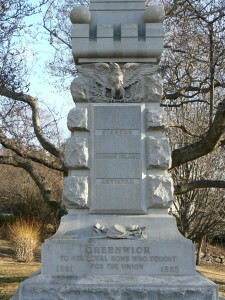 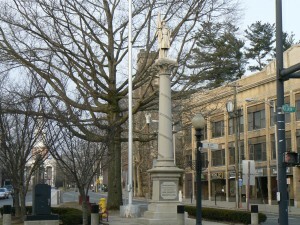 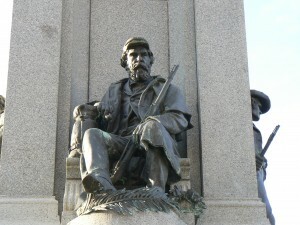 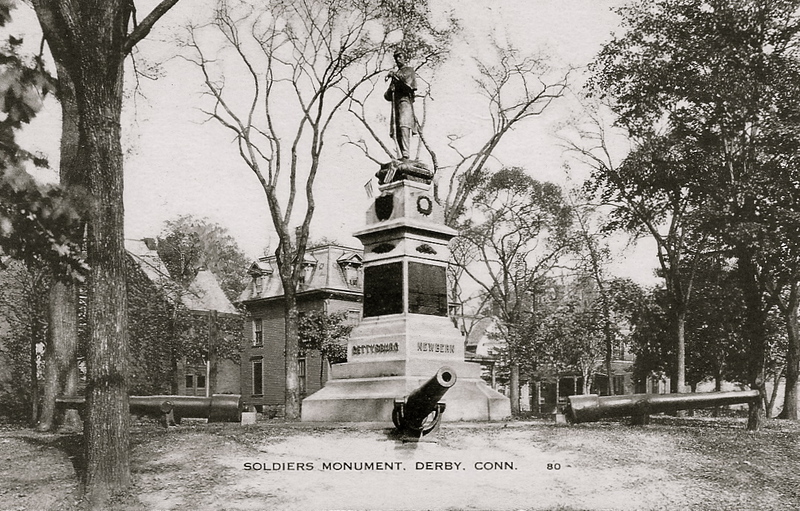 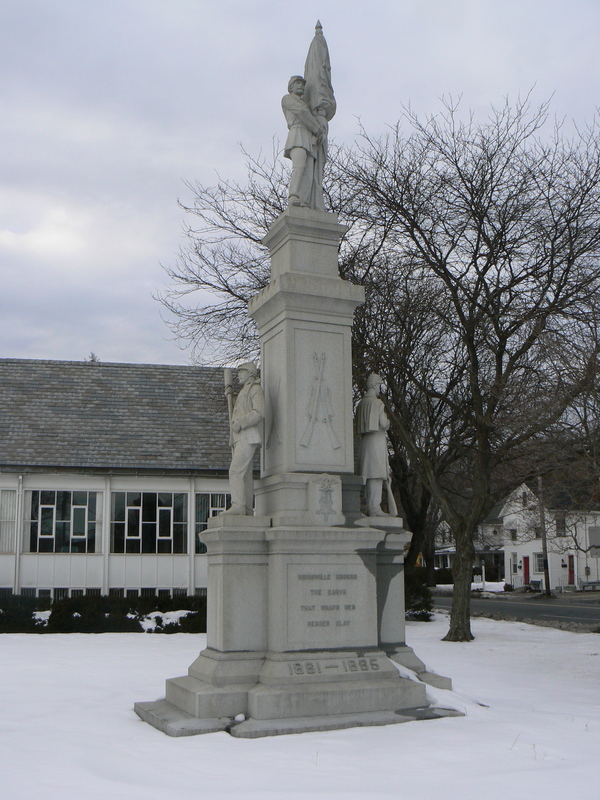 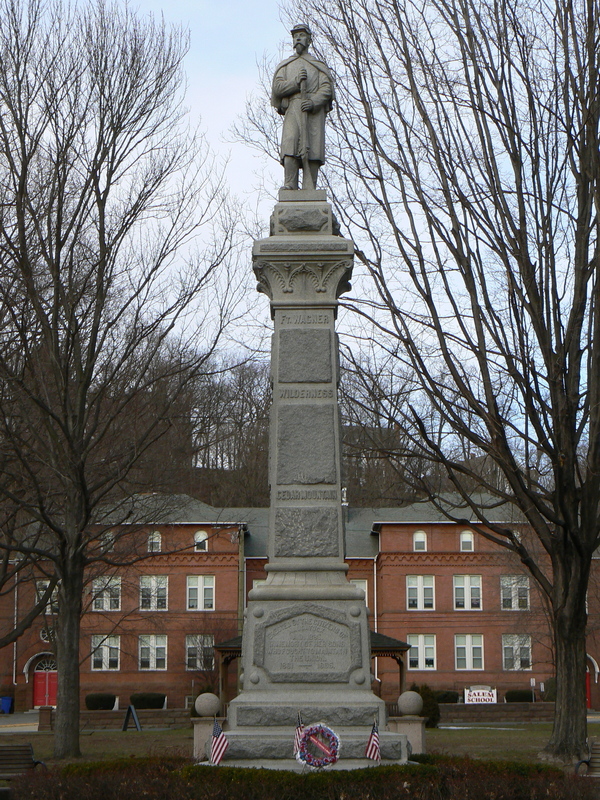 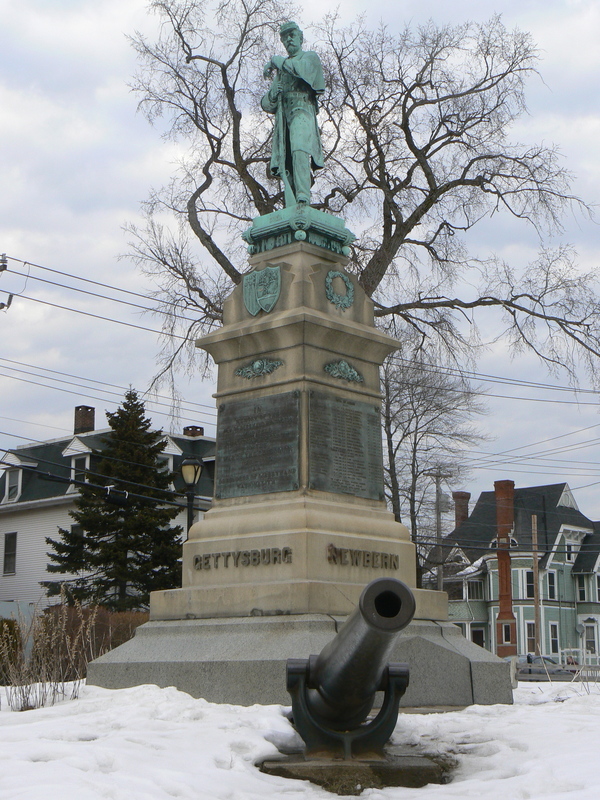 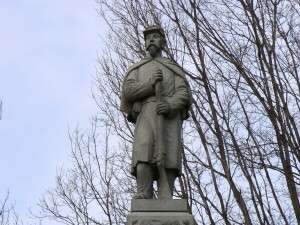 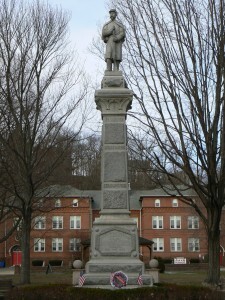 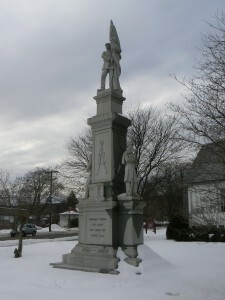 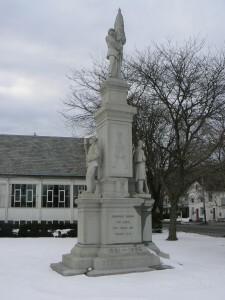 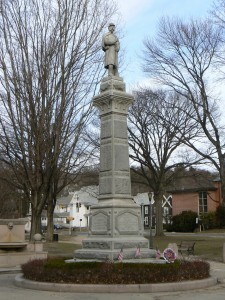 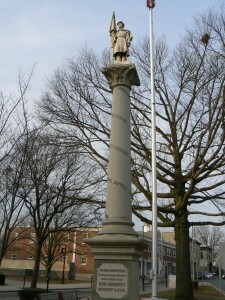 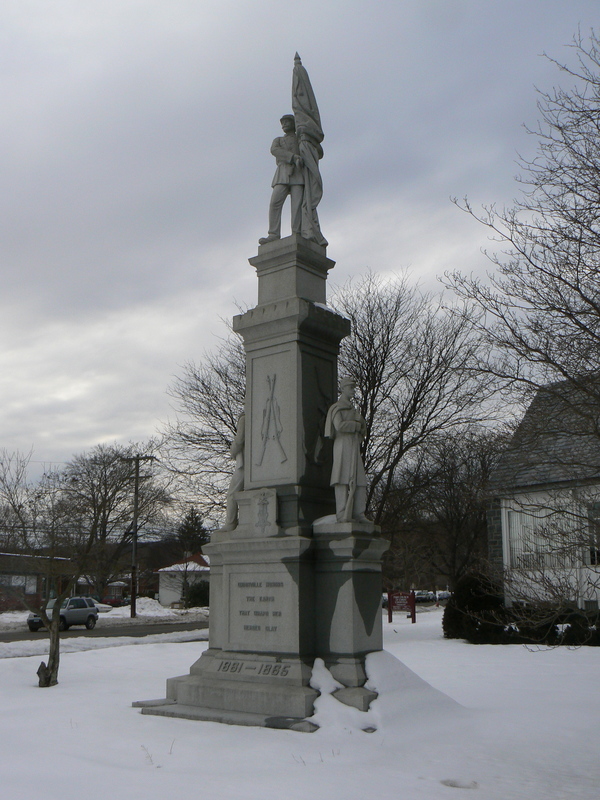 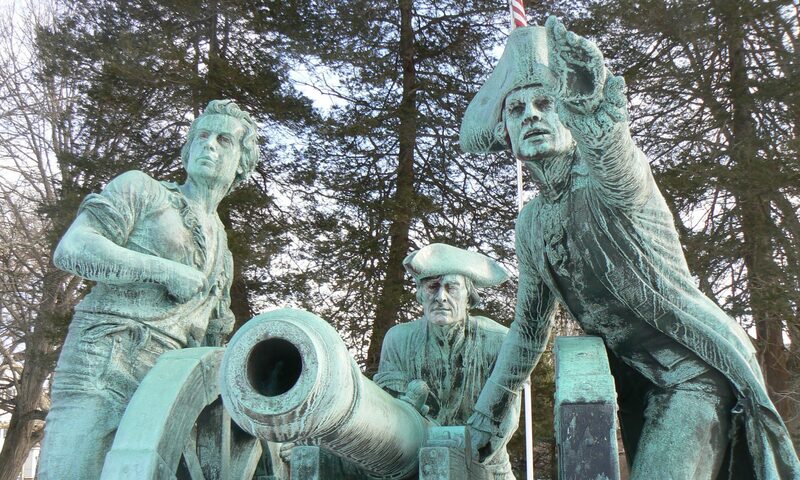 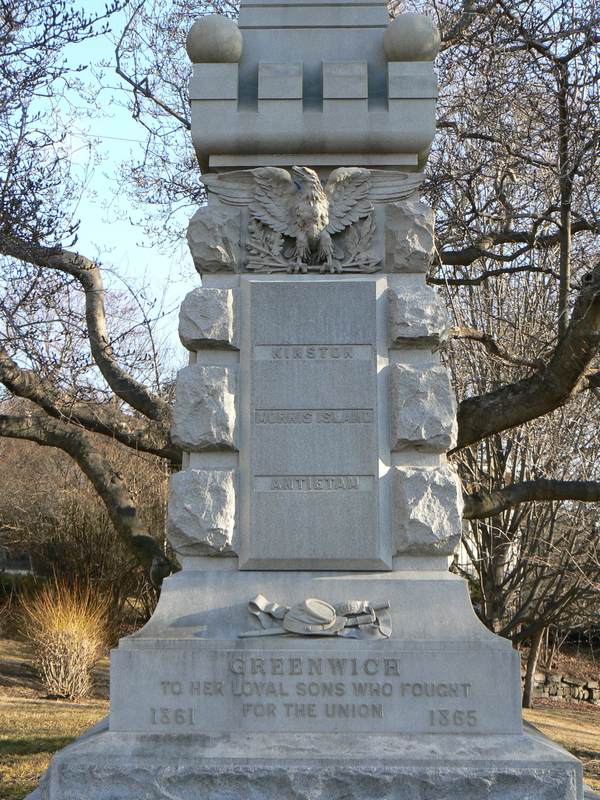 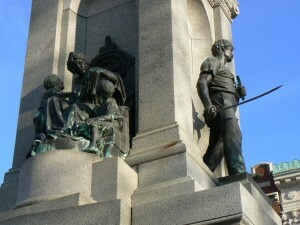 The monument’s column, topped by a bearded soldier, also bears shields with Connecticut and U.S. emblems as well as the names of several important battles, including Gettysburg, New Bern (N.C., spelled as ‘New Berne’), Fort Fisher (N.C) and Fredericksburg (Va). 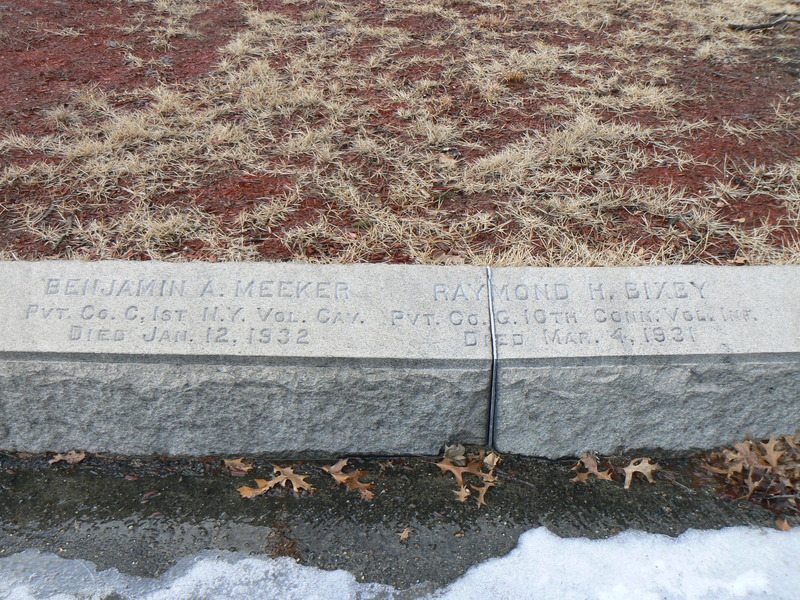 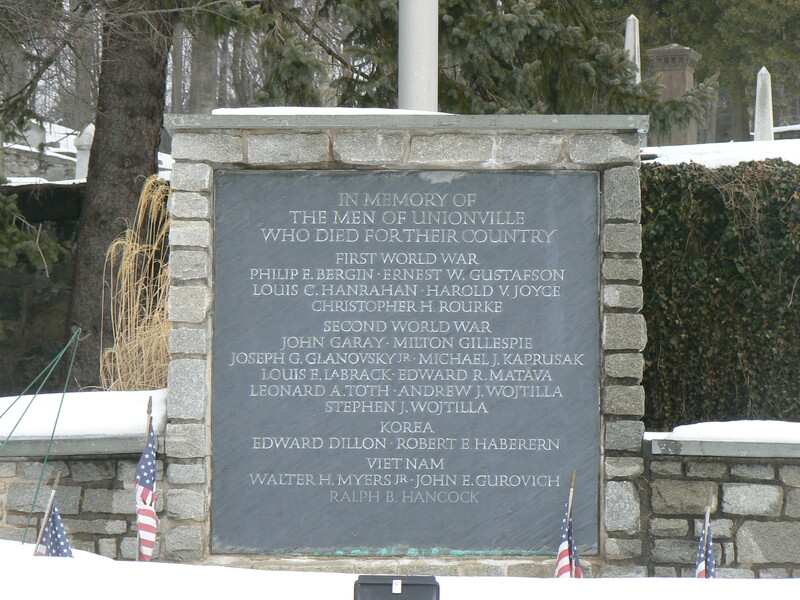 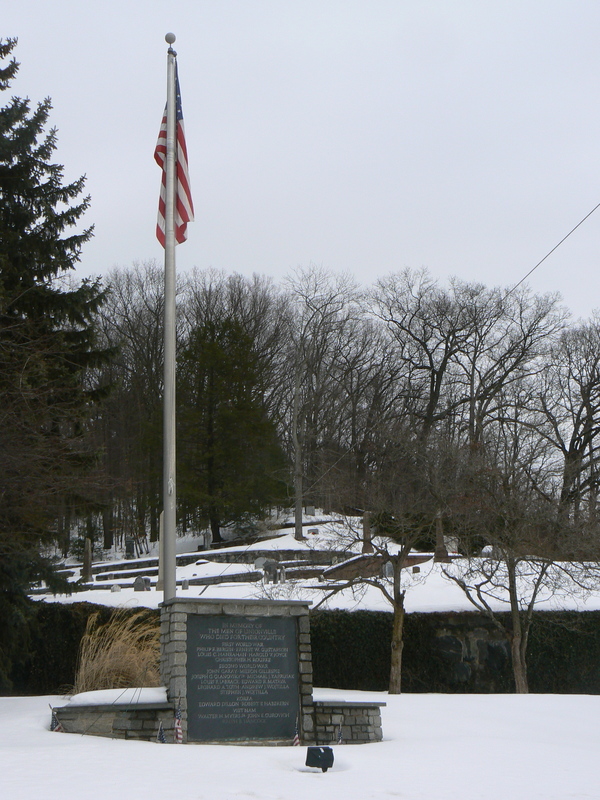 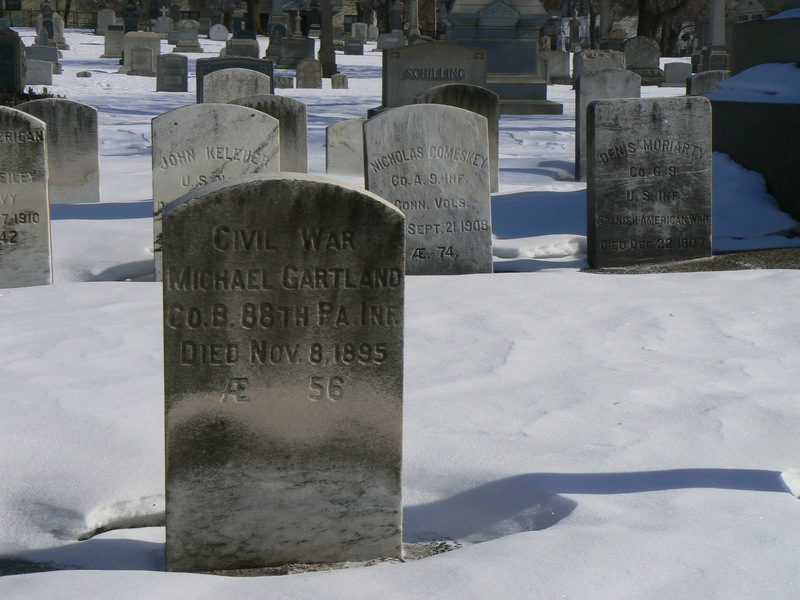 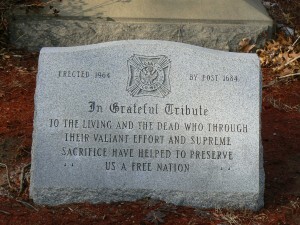 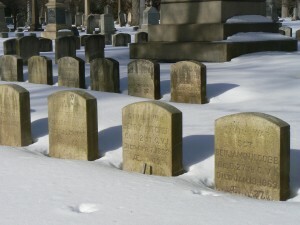 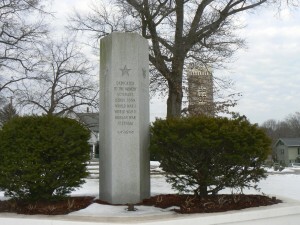 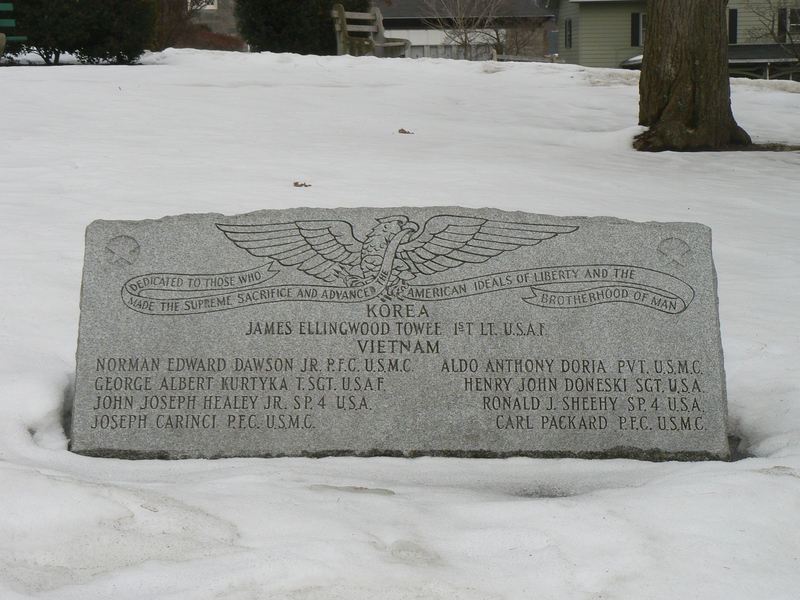 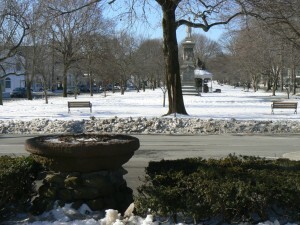 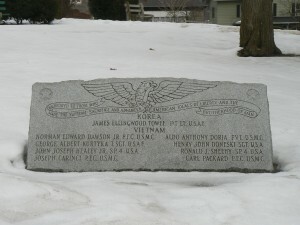 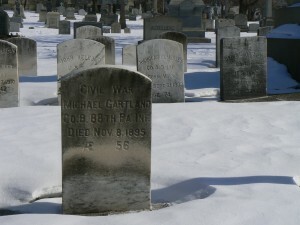 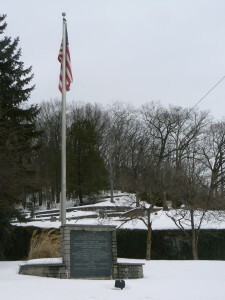 More than 120 graves of Civil War veterans are located around the base of the monument, which is located on the Winthrop Avenue side of Evergreen Cemetery. 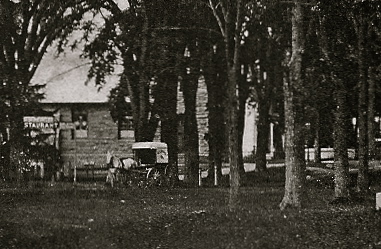 Knight Hospital was a temporary facility that opened in 1862 to treat soldiers wounded in the Civil War. 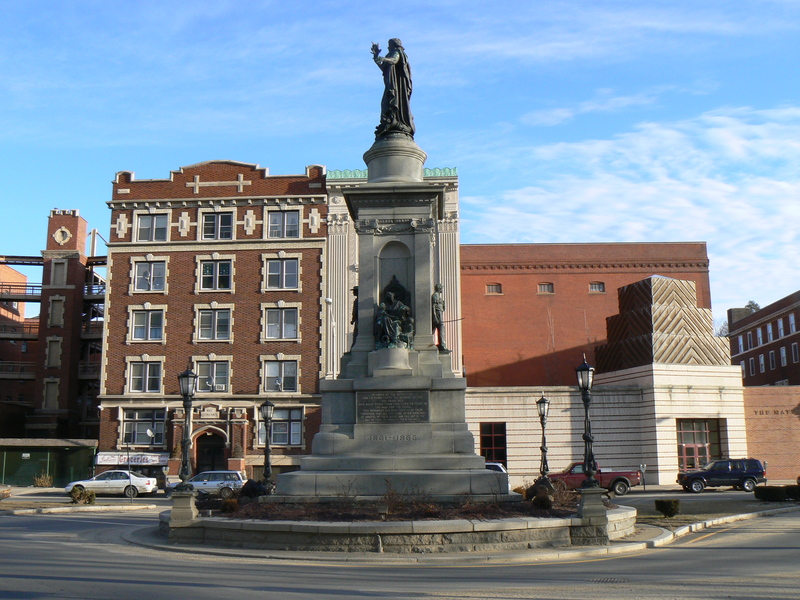 The U.S. government leased a building from New Haven’s State Hospital, a predecessor of today’s Yale-New Haven Hospital. 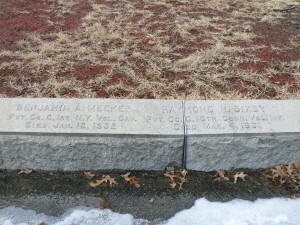 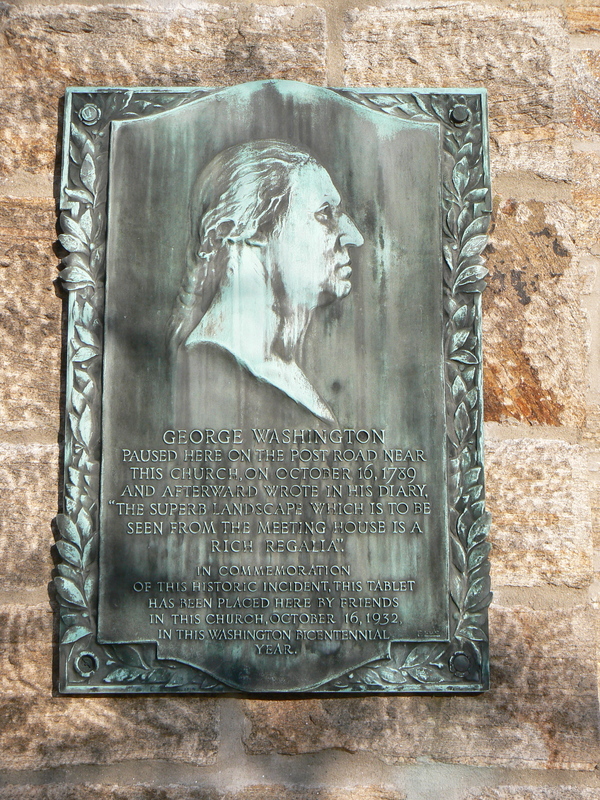 The hospital was named after Jonathan Knight, president of General Hospital Society of Connecticut’s board and a professor at the Medical Institution of Yale College. 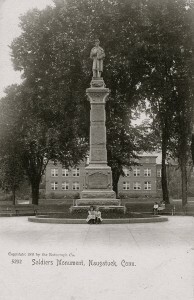 Knight Hospital treated more than 25,000 patients during the Civil War, which impressed us if you consider the difficulty of transporting wounded soldiers from North Carolina or Virginia back to Connecticut while during a time of war.